This post presents links to the technical articles connected with the practice component of my PhD investigating “Videogames and the Digital Sublime”. 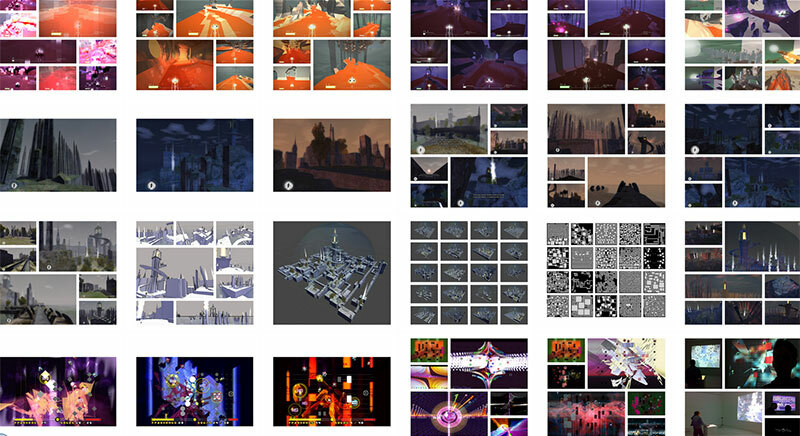 The following articles provide examples of code/process and show illustrations of the various programming solutions that were developed to support the development of the research games (AvSeq, In Ruins and Permutation Racer) and some associated generative/audiovisual work done during the same research period.. I hope these articles will provide help and inspiration to anyone who is thinking of using procedural or generative processes in game development. Please contact me on twitter @tomnullpointer if you have any questions about the articles etc.